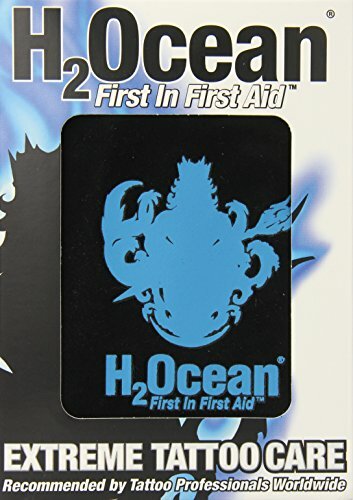 H2Ocean Blue Green Foam Soap, 1.7 Fluid Ounce. Reduces irritation and redness. 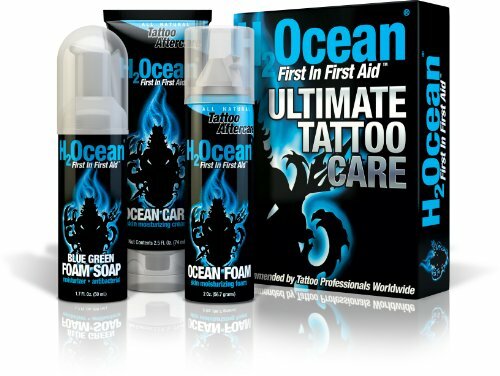 Directions: Wash your tattoo thoroughly with Blue Green Foam Soap and warm water 3 to 4 times per day. Use your fingers with medium pressure during your washes to help remove any dried secretions in the pores of your skin. Washing with warm water opens the derma pores and gives your skin a deep clean to prevent scabs from forming. On the first day, if the oozing has stopped, apply the Ocean Foam before bed. 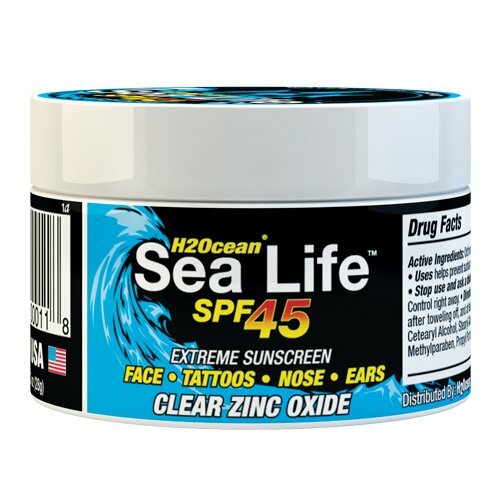 If the tattoo is still oozing, we recommend waiting until the next morning before applying Ocean Foam. Shake can vigorously. 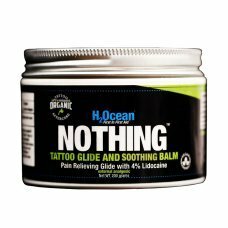 Gently apply a thin layer of Ocean Foam on your tattoo until completely absorbed into the skin 3 to 5 times per day. The foam will soothe and moisturize the tattoo. Drying and peeling is normal after the third day. 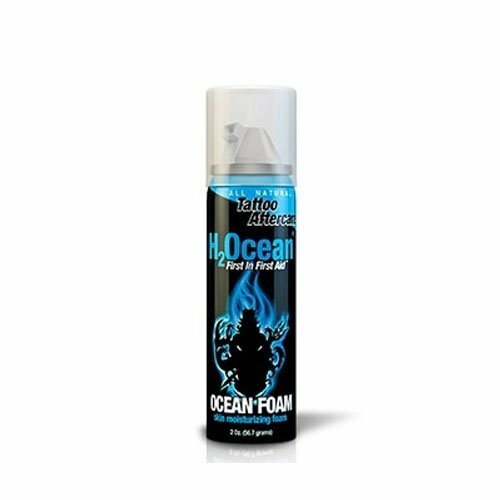 Continue to use Ocean Foam for the life of your tattoo to keep your skin moisturized and your tattoo looking NEW.